This article was first published on August 10, 2004 under the title More Holes in the Official Story: The 9/11 Cell Phone Calls, it was published (Chapter XVIII) in my book entitled “America’s War on Terrorism”, Global Research, Montreal, 2005. Some of the hyperlinks (2001-2004 references) pertaining to some of the quotations are unfortunately no longer active. “Qualcomm and American Airlines are exploring [July 2004] ways for passengers to use commercial cell phones inflight for air-to-ground communication. In a recent 2-hr. proof-of-concept flight, representatives from government and the media used commercial Code Division Multiple Access (CDMA) third-generation cell phones to place and receive calls and text messages from friends on the ground. Needless to say, neither the service, nor the “third generation” hardware, nor the “Picco cell” CDMA base station inside the cabin (which so to speak mimics a cell phone communication tower inside the plane) were available on the morning of September 11, 2001. The 911 Commission points to the clarity and detail of these telephone conversations. In substance, the Aviation Week report creates yet another embarrassing hitch in the official story. The untimely July American Airlines / Qualcomm announcement acted as a cold shower. Barely acknowledged in press reports, it confirms that the Bush administration had embroidered the cell phone narrative (similar to what they did with WMDs) and that the 9/11 Commission’s account was either flawed or grossly exaggerated. According to industry experts, the crucial link in wireless cell phone transmission from an aircraft is altitude. Beyond a certain altitude which is usually reached within a few minutes after takeoff, cell phone calls are no longer possible. In other words, given the wireless technology available on September 11 2001, these cell calls could not have been placed from high altitude. The only way passengers could have got through to family and friends using their cell phones, is if the planes were flying below 8000 feet. Yet even at low altitude, below 8000 feet, cell phone communication is of poor quality. The crucial question: at what altitude were the planes traveling, when the calls were placed? While the information provided by the Commission is scanty, the Report’s timeline does not suggest that the planes were consistently traveling at low altitude. In fact the Report confirms that a fair number of the cell phone calls were placed while the plane was traveling at altitudes above 8000 feet, which is considered as the cutoff altitude for cell phone transmission. Let us review the timeline of these calls in relation to the information provided by the Report on flight paths and altitude. And one minute later at 8.52, Lee Hanson receives a call from his son Peter. [Flight UAL 175] “At 8:52, in Easton, Connecticut, a man named Lee Hanson received a phone call from his son Peter, a passenger on United 175. His son told him: “I think they’ve taken over the cockpit—An attendant has been stabbed— and someone else up front may have been killed. The plane is making strange moves. Call United Airlines—Tell them it’s Flight 175, Boston to LA. Also at 8:52, a male flight attendant called a United office in San Francisco, reaching Marc Policastro. The flight attendant reported that the flight had been hijacked, both pilots had been killed, a flight attendant had been stabbed, and the hijackers were probably flying the plane. The call lasted about two minutes, after which Policastro and a colleague tried unsuccessfully to contact the flight. It is not clear whether this was a call to Policastro’s cell phone or to the UAL switchboard. “At 8:59, Flight 175 passenger Brian David Sweeney tried to call his wife, Julie. He left a message on their home answering machine that the plane had been hijacked. He then called his mother, Louise Sweeney, told her the flight had been hijacked, and added that the passengers were thinking about storming the cockpit to take control of the plane away from the hijackers. It’s getting bad, Dad—A stewardess was stabbed—They seem to have knives and Mace—They said they have a bomb—It’s getting very bad on the plane—Passengers are throwing up and getting sick—The plane is making jerky movements—I don’t think the pilot is flying the plane—I think we are going down—I think they intend to go to Chicago or someplace and fly into a building—Don’t worry, Dad— If it happens, it’ll be very fast—My God, my God. At 8:51, American 77 transmitted its last routine radio communication. The hijacking began between 8:51 and 8:54. As on American 11 and United 175, the hijackers used knives (reported by one passenger) and moved all the passengers (and possibly crew) to the rear of the aircraft (reported by one flight attendant and one passenger). Unlike the earlier flights, the Flight 77 hijackers were reported by a passenger to have box cutters. Finally, a passenger reported that an announcement had been made by the “pilot” that the plane had been hijacked…. According to the Report, when the autopilot was disengaged at 9:29am, the aircraft was at 7,000 feet and some 38 miles west of the Pentagon. This happened two minutes before the crash. Most of the calls on Flight 77 were placed between 9.12am and 9.26am, prior to the disengagement of automatic piloting at 9.29am. The plane could indeed have been traveling at either a higher or a lower altitude to that reached at 9.29. Yet, at the same time there is no indication in the Report that the plane had been traveling below the 7000 feet level, which it reached at 9.29am. UAL flight 93 was the only one of the four planes that, according to the official story, did not crash into a building. Flight 93 passengers, apparently: “alerted through phone calls, attempted to subdue the hijackers. and the hijackers crashed the plane [in Pennsylvania] to prevent the passengers gaining control.” (See this). Another version of events, was that UAL 93 was shot down. At least ten cell calls are reported to have taken place on flight 93. “At 9:32, a hijacker, probably Jarrah, made or attempted to make the following announcement to the passengers of Flight 93:“Ladies and Gentlemen: Here the captain, please sit down keep remaining sitting. We have a bomb on board. So, sit.” The flight data recorder (also recovered) indicates that Jarrah then instructed the plane’s autopilot to turn the aircraft around and head east. The cockpit voice recorder data indicate that a woman, most likely a flight attendant, was being held captive in the cockpit. She struggled with one of the hijackers who killed or otherwise silenced her. Shortly thereafter, the passengers and flight crew began a series of calls from GTE airphones and cellular phones. These calls between family, friends, and colleagues took place until the end of the flight and provided those on the ground with firsthand accounts. They enabled the passengers to gain critical information, including the news that two aircraft had slammed into the World Trade Center.77…At least two callers from the flight reported that the hijackers knew that passengers were making calls but did not seem to care. The hijackers were wearing red bandanas, and they forced the passengers to the back of the aircraft.80 Callers reported that a passenger had been stabbed and that two people were lying on the floor of the cabin, injured or dead—possibly the captain and first officer. One caller reported that a flight attendant had been killed.81 One of the callers from United 93 also reported that he thought the hijackers might possess a gun. But none of the other callers reported the presence of a firearm. One recipient of a call from the aircraft recounted specifically asking her caller whether the hijackers had guns. The passenger replied that he did not see one. No evidence of firearms or of their identifiable remains was found at the aircraft’s crash site, and the cockpit voice recorder gives no indication of a gun being fired or mentioned at any time. “Everyone’s running up to first class. I’ve got to go. Bye.” The cockpit voice recorder captured the sounds of the passenger assault muffled by the intervening cockpit door. Some family members who listened to the recording report that they can hear the voice of a loved one among the din. We cannot identify whose voices can be heard. But the assault was sustained. In response, Jarrah immediately began to roll the airplane to the left and right, attempting to knock the passengers off balance. At 9:58:57, Jarrah told another hijacker in the cockpit to block the door. Jarrah continued to roll the airplane sharply left and right, but the assault continued. At 9:59, Jarrah changed tactics and pitched the nose of the airplane up and down to disrupt the assault. The recorder captured the sounds of loud thumps, crashes, shouts, and breaking glasses and plates. At 10:00:03, Jarrah stabilized the airplane. Five seconds later, Jarrah asked, “Is that it? Shall we finish it off?” A hijacker responded, “No. Not yet. When they all come, we finish it off.” The sounds of fighting continued outside the cockpit. Again, Jarrah pitched the nose of the aircraft up and down.At 10:00:26, a passenger in the background said, “In the cockpit. If we don’t we’ll die!” Sixteen seconds later, a passenger yelled,“Roll it!” Jarrah stopped the violent maneuvers at about 10:01:00 and said, “Allah is the greatest! Allah is the greatest!” He then asked another hijacker in the cockpit,“ Is that it? I mean, shall we put it down?” to which the other replied, “Yes, put it in it, and pull it down.” The passengers continued their assault and at 10:02:23, a hijacker said, “Pull it down! Pull it down!” The hijackers remained at the controls but must have judged that the passengers were only seconds from overcoming them. The airplane headed down; the control wheel was turned hard to the right. Earlier coverage of the fate of UAL 93 was based in part on a reported cell call from a passenger named Edward Felt, who managed to reach an emergency official in Pennsylvania. How he got the emergency supervisor’s number and managed to reach him remains unclear. It is worth noting that Glenn Cramer was subsequently gagged by the FBI.” (See Robert Wallace`s incisive analysis published in Sept 2002 by the Daily Mirror, (see this). There are no clear-cut reports on the use of cell phones on Flight AA11. 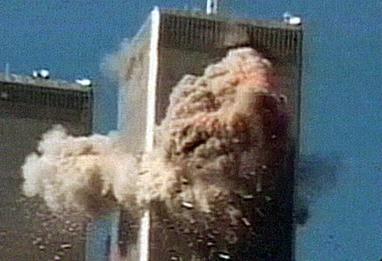 According to the Report, American 11 crashed into the North Tower of the World Trade Center at 8.46. A large part of the description, regarding the 19 hijackers relies on cell phone conversations with family and friends. While a few of these calls (placed at low altitude) could have got through, the wireless technology was not available. On this issue, expert opinion within the wireless telecom industry is unequivocal. In other words, at least part of the Commission’s script in Chapter 1 on the cell phone conversations, is fabricated. In the eyes of public opinion, the cell phone conversations on the Arab hijackers is needed to sustain the illusion that America is under attack. The “war on terrorism” underlying the National Security doctrine relies on real time “evidence” concerning the Arab hijackers. The latter personify, so to speak, this illusive “outside enemy” (Al Qaeda), which is threatening the homeland. Embodied into the Commission’s “script” of 911, the narrative of what happened on the plane with the Arab hijackers is therefore crucial. It is an integral part of the Administration’s disinformation and propaganda program. It constitutes a justification for the anti-terror legislation under the Patriot acts and the waging of America’s pre-emptive wars against Afghanistan and Iraq. 70. On FDR, see NTSB report,“Specialist’s Factual Report of Investigation—Digital Flight Data Recorder” for United Airlines Flight 93, Feb. 15, 2002; on CVR, see FBI report,“CVR from UA Flight #93,” Dec. 4, 2003; Commission review of Aircraft Communication and Reporting System (ACARS) messages sent to and from Flight 93 (which indicate time of message transmission and receipt); see UAL record, Ed Ballinger ACARS log, Sept. 11, 2001. At 9:22, after learning of the events at the World Trade Center, Melody Homer, the wife of co-pilot Leroy Homer, had an ACARS message sent to her husband in the cockpit asking if he was okay. See UAL record,ACARS message, Sept. 11, 2001. 71. On FDR, see NTSB report,“Specialist’s Factual Report of Investigation—Digital Flight Data Recorder” for United Airlines Flight 93, Feb. 15, 2002; on CVR, see FBI report,“CVR from UA Flight #93,” Dec. 4, 2003; FAA report,“Summary of Air Traffic Hijack Events: September 11, 2001,” Sept. 17, 2001; NTSB report, Air Traffic Control Recording—United Airlines Flight 93, Dec. 21, 2001. 72.The 37 passengers represented a load factor of 20.33 percent of the plane’s seating capacity of 182, considerably below the 52.09 percent for Flight 93 on Tuesdays in the three-month period prior to September 11 (June 11–September 4, 2001). See UAL report, Flight 93 EWR-SFO load factors, undated. Five passengers holding reservations for Flight 93 did not show for the flight.All five were interviewed and cleared by the FBI. FBI report,“Flight #93 ‘No Show’ Passengers from 9/11/01,” Sept. 18, 2001. 73. INS record,Withdrawal of Application for Admission for Mohamed al Kahtani,Aug. 4, 2001. 74. See FAA regulations,Admission to flight deck, 14 C.F.R. § 121.547 (2001);UAL records, copies of boarding passes for United 93, Sept. 11,2001.One passenger reported that ten first-class passengers were aboard the flight. If that number is accurate, it would include the four hijackers. FBI report of investigation, interview of Lisa Jefferson, Sept. 11, 2001;UAL record, Flight 93 passenger manifest, Sept. 11, 2001.All but one of the six passengers seated in the first-class cabin communicated with the ground during the flight, and none mentioned anyone from their cabin having gone into the cockpit before the hijacking.Moreover, it is unlikely that the highly regarded and experienced pilot and co-pilot of Flight 93 would have allowed an observer into the cockpit before or after takeoff who had not obtained the proper permission. See UAL records, personnel files of Flight 93 pilots. For jumpseat information, see UAL record,Weight and Balance Information for Flight 93 and Flight 175, Sept. 11, 2001;AAL records, Dispatch Environmental Control/Weekly Flight Summary for Flight 11 and Flight 77, Sept. 11, 2001. 75. Like Atta on Flight 11, Jarrah apparently did not know how to operate the communication radios; thus his attempts to communicate with the passengers were broadcast on the ATC channel. See FBI report,“CVR from UA Flight #93,” Dec. 4, 2003.Also, by 9:32 FAA notified United’s headquarters that the flight was not responding to radio calls.According to United, the flight’s nonresponse and its turn to the east led the airline to believe by 9:36 that the plane was hijacked. See Rich Miles interview (Nov. 21, 2003); UAL report, “United dispatch SMFDO activities—terrorist crisis,” Sept. 11, 2001. 76. In accordance with FAA regulations, United 93’s cockpit voice recorder recorded the last 31 minutes of sounds from the cockpit via microphones in the pilots’ headsets, as well as in the overhead panel of the flight deck. This is the only recorder from the four hijacked airplanes to survive the impact and ensuing fire.The CVRs and FDRs from American 11 and United 175 were not found,and the CVR from American Flight 77 was badly burned and not recoverable. See FBI report,“CVR from UA Flight #93,”Dec. 4, 2003; see also FAA regulations, 14 C.F.R. §§ 25.1457, 91.609, 91.1045, 121.359; Flight 93 CVR data. A transcript of the CVR recording was prepared by the NTSB and the FBI. 77. All calls placed on airphones were from the rear of the aircraft. There was one airphone installed in each row of seats on both sides of the aisle.The airphone system was capable of transmitting only eight calls at any one time. See FBI report of investigation, airphone records for flights UAL 93 and UAL 175 on Sept. 11, 2001, Sept. 18, 2001. 78.FAA audio file, Cleveland Center, position Lorain Radar; Flight 93 CVR data; FBI report, “CVR from UA Flight #93,” Dec. 4, 2003. 79. FBI reports of investigation, interviews of recipients of calls from Todd Beamer, Sept. 11, 2001, through June 11, 2002; FBI reports of investigation, interviews of recipients of calls from Sandy Bradshaw, Sept. 11, 2001, through Oct. 4, 2001.Text messages warning the cockpit of Flight 93 were sent to the aircraft by Ed Ballinger at 9:24. See UAL record, Ed Ballinger’s ACARS log, Sept. 11, 2001. Grandcolas, Linda Gronlund, CeeCee Lyles, Honor Wainio. 81. FBI reports of investigation, interviews of recipients of calls from Thomas Burnett, Sept. 11, 2001; FBI reports of investigation, interviews of recipients of calls from Marion Britton, Sept. 14, 2001, through Nov. 8, 2001; Lisa Jefferson interview (May 11, 2004); FBI report of investigation, interview of Lisa Jefferson, Sept. 11, 2001; Richard Belme interview (Nov. 21, 2003). 82. See Jere Longman, Among the Heroes—United Flight 93 and the Passengers and Crew Who Fought Back (Harper-Collins, 2002), p. 107; Deena Burnett interview (Apr. 26, 2004); FBI reports of investigation, interviews of recipients of calls from Jeremy Glick, Sept. 11, 2001, through Sept. 12, 2001; Lyzbeth Glick interview (Apr. 22, 2004). Experts told us that a gunshot would definitely be audible on the CVR. The FBI found no evidence of a firearm at the crash site of Flight 93. See FBI response to Commission briefing request no. 6, undated (topic 11).The FBI collected 14 knives or portions of knives at the Flight 93 crash site. FBI report, “Knives Found at the UA Flight 93 Crash Site,” undated. 83. FBI response to Commission briefing request no. 6, undated (topic 11); FBI reports of investigation, interviews of recipients of calls from Jeremy Glick, Sept. 11, 2001, through Sept. 12, 2001. 84. See FBI reports of investigation, interviews of recipients of calls from United 93. 85. 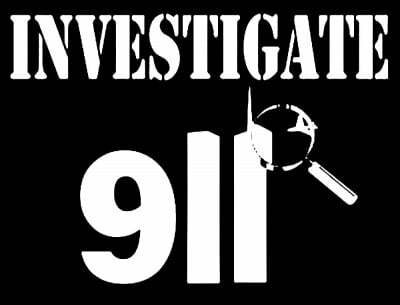 FBI reports of investigation, interviews of recipients of calls from United 93. For quote, see FBI report of investigation, interview of Philip Bradshaw, Sept. 11, 2001; Philip Bradshaw interview (June 15, 2004); Flight 93 FDR and CVR data.At 9:55:11 Jarrah dialed in the VHF Omni-directional Range (VOR) frequency for the VOR navigational aid at Washington Reagan National Airport, further indicating that the attack was planned for the nation’s capital.